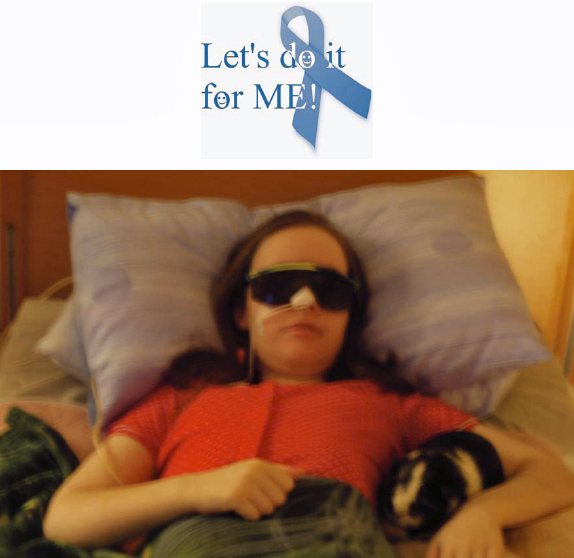 We are an independent UK charity campaigning for bio-medical research into Myalgic Encephalomyelitis (M.E. ), as defined by WHO-ICD-10-G93.3. We have links nationwide and also internationally. Invest in ME are one of the founding members of The European ME Alliance. Our aim is to bring together like-minded individuals and groups to campaign for research and funding to establish an understanding of the Aetiology (causes), Pathogenesis (harmful effects) and Epidemiology (the pattern of distribution of a disease through a population) of M.E. This should lead to the development of a universal "thumb-print" test for diagnosis of M.E. and, subsequently, medical treatments to cure or alleviate the effects of the illness. Invest in ME want to establish a national strategy of biomedical research into M.E. and establish a UK and European Centre of Excellence for biomedical research into M.E. Please help make M.E. an illness which is properly understood and where adequate funding is provided for biomedical research into ME allowing treatments and cures to be found. We wish to make this an easy destination to visit to find out anything about M.E. that you would like to know. Whether you are a sufferer, a parent/carer, a person involved in the media (see our Media pages) or somebody who would like to know more then visit our Information Centre for an insight into ME. The column on the right covers other news items and includes an archive for all items posted here. The effects of ME are apparent to any M.E. sufferer and their carers/parents. Here is a sample of stories from M.E. sufferers which illustrates the sadness, and the reality, behind this illness. It also shows the positive approach of M.E. sufferers and serves to dispel any notions of depression as a causative feature of M.E., something which often accompanies many of the less-informed handouts given to, or by, the media and some organisations. The Story Gallery - shows some of the tragic but hopeful stories concerning M.E. If you suffer from M.E. then we invite you to support us - we are sufferers and carers of ME sufferers ourselves - contact us now for more information on how we can work together to make a difference. If you are a parent of a child with M.E. then we know what you are going through - help us to help you to do more than just cope. The contacts page allows us to know about you. 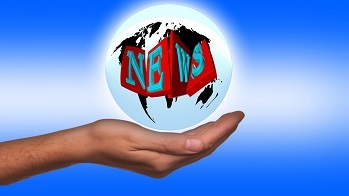 Also - sign up for our newsletter - click here for more details. There is no monopoly on a good idea to raise funds for biomedical research - go to our Ideas Factory page and contact us with your idea. If you want to browse more use our site map to show which sections we have and so limit the effort required to find some information. Use our ME-bay to auction and fund biomedical research into ME. See our IiME store area. Let's March on a Million! CAMPAIGNING Details of past ME awareness campaigns. 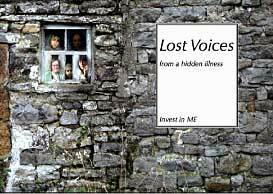 FUNDRAISING A page on fundraising activities and awareness events to support Invest in ME. 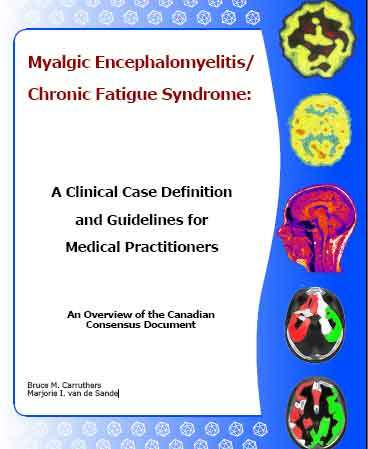 A blend of research, science, facts, politics and real-life experiences relating to ME/CFS. Invest in ME have been given the rights to distribute the Canadian Consensus Guidelines in the UK - click on image. Contact IiME to purchase.